Want to better reach your target audience on Twitter? 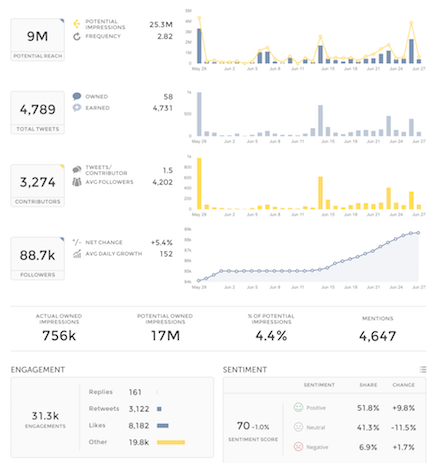 With Twitter engagement analytics from Union Metrics, you can finally measure exactly how your Tweets perform and get insights on how to create better content with a wider reach. 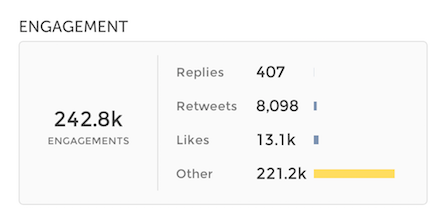 For the first time anywhere, get actual reach for your Tweets, along with the industry’s first real-time Twitter engagement metrics. Owned media is at the core of every effective social strategy. Our analytics help you get the most out of the content you publish. How much of your potential audience are you actually reaching? Learn how effective your Tweets are with Union Metrics. Use our Twitter engagement analysis to determine what works and what doesn’t so you know how to create content that reaches your target audience.